The pace at which agencies and printers operate is fast to say the least. This makes planning and executing amazing campaigns that produce amazing results challenging for even the most experienced marketers. Easypurl’s Complete Integrated Reseller Edition gives marketers (from companies of all sizes) the tools and the power to create, launch and measure multi-channel marketing campaigns that are proven to increase response rates, conversions, and customer loyalty. Your ideas + our software = success. Let us prove it to you. Get started today. In fact, you’ll have the power to white label your Reporting Dashboard, add as many client tenants and users as you want, and utilize Easypurl’s entire suite of powerful features 24/7/365. Your ideas + our software = success. Find out for yourself why our Reseller partners love Easypurl so much. 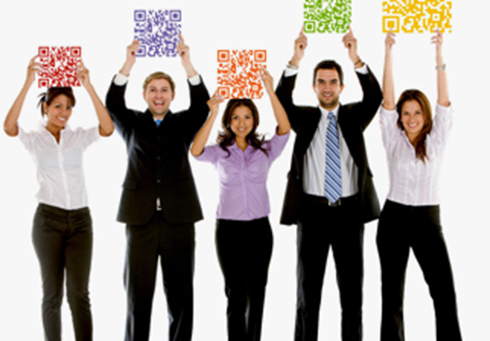 We make 1:1 Integrated Marketing easy by providing editions that scale with your business. Then check out Experiture — the world’s first Customer Experience Marketing platform designed for both B2B and B2C Marketers. 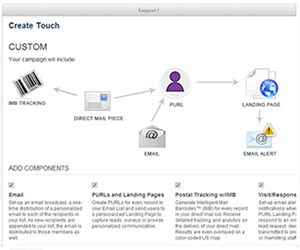 Easypurl offers powerful multi-channel marketing tools that yield powerful results. Reach customers and prospects with email blasts, auto–responders, drip campaigns, and more. Get attention from your audience with mobile–optimized messaging – wherever they may be. Reach Fans and Followers with social widgets added to emails, landing pages, and more. Get real-time, on-demand reporting on inbound calls including start time, end time, call length and more. Tap into the mobile trend and enable users to quickly and easily respond to your messages via their mobile phone. Using our IVR solutions, you can track phone responders while also providing prospects with a personalized greeting. Send direct mail pieces to your targets – and use postal tracking to intelligently trigger follow–ups and measure results. Measure marketing effectiveness across all channels with real-time analytics down to each individual interaction. Our tools make it simple to craft powerful, customized pages that you can easily test and optimize. Personalize your engagement with data–driven Landing Pages that display unique content for each individual. We have performed all of the platform–specific modifications, so you can create your assets once, and instantly reach a variety of mobile devices and platforms. Take the gut–feelings and guesswork out of your decision–making and replace it with data derived from real, user interactions. Private Labeled Dashboard & Multi-Tenant Support? We’ve got you covered. Easypurl makes it easy to brand your dashboard with your logo, and create firewalled sub-accounts for all of your clients. Create unlimited client sub–accounts that allow a single agency or user to restrict client access so that they may only view content that is relevant to them. Plus, there are no limits to how many client users may register to view their Campaign results from within Easypurl… ever! The platform is ours, but the experience belongs to you. When clients login to Easypurl, they see your logo on their reports dashboard. Plus, you retain your brand experience; clients enter your domain name into their address bar to read Campaign reports and analytics. Any notifications sent from the platform to your client users (say, to reset a forgotten password) will appear as if it is coming from you. Precisely segment groups of Targets – then leverage powerful trigger–based marketing automation to reach them with relevant messaging. 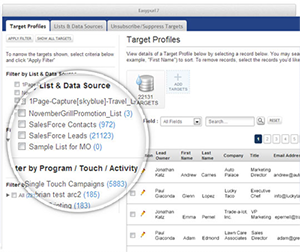 extract maximum value from your prospect list or customer database. represent the highest value – helping you realize higher Campaign ROI. 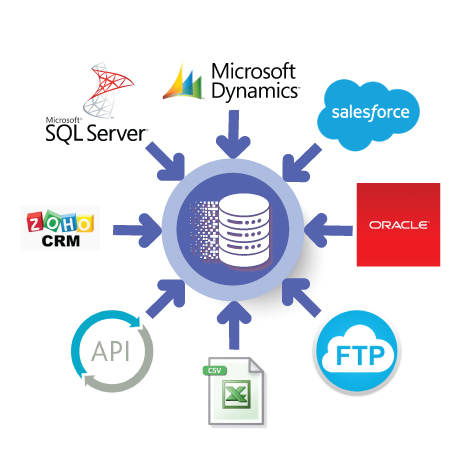 With our powerful out–of–the–box solution, we can send information to and from just about any database. Plus, we offer a full suite of automation tools. Track. Report. Analyze. Improve. Repeat. Get total visibility over your marketing efforts with an innovative Reports dashboard that displays campaign performance across all channels. View marketing results in the platform of your choice – with results from all marketing channels in a single, online web dashboard interface. Keep track of your performance on either your Tablet or PC. The most important metrics are one click away for each Target, and on every channel. Now it’s your turn. Plus, marketers love us because we’re here to help every step of the way! So don’t wait, contact us today to get started.